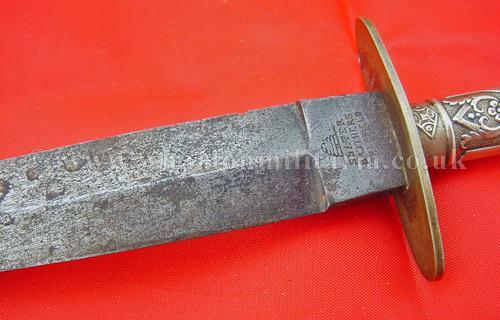 A Victorian cutlery handled dagger, in the form of a trench or boot knife, approx 9 ½ inches in length, in excellent condition. 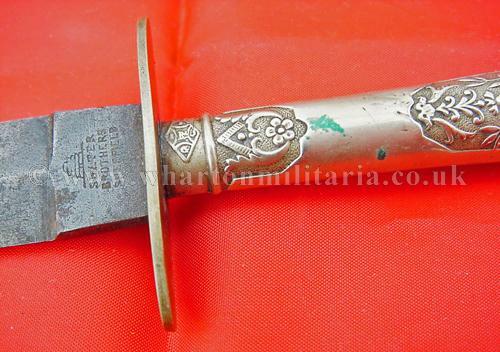 The knife has a typical Victorian polished steel cutlery type handle decorated with ornate detail and oval shaped cross guard. 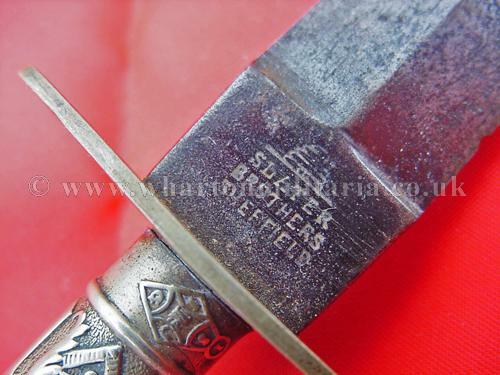 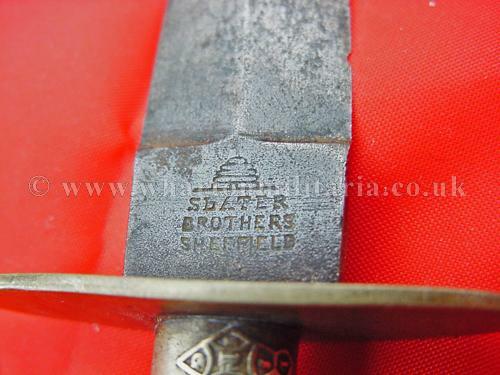 The blade is double edged polished steel, measuring approx 5 ¾ inches and ¾ inch wide, maker marked at the ricasso with the trade mark "Bee Hive" and details ‘Slater Brothers, Sheffield’. 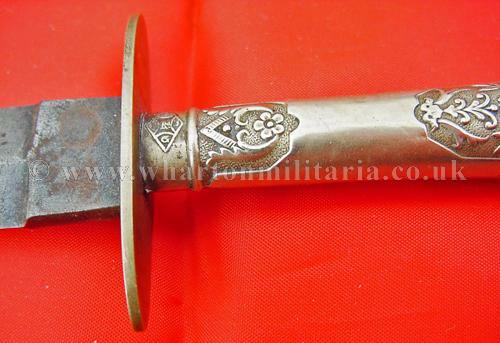 The knife is in excellent condition though sadly the leather scabbard is missing. 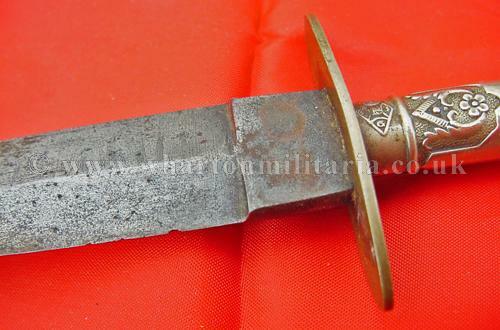 An interesting knife that looks a forerunner to the FS fighting knife of WW2.